An increasing proportion of the British public would like to witness a reduction in the legal limit for alcohol consumption for all road users. 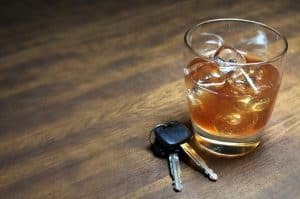 New research published by road safety charity Brake has revealed eight out of ten UK motorists admit to their driving being affected when they consume not enough alcohol to put them over the limit, but close to it. Moreover, 40 per cent of drivers believe their driving gets worse after just one unit of alcohol. As a result, a poll carried out by the organisation in partnership with insurer Direct Line has shown how 78 per cent of UK drivers currently believe the drink-drive limit to be too high. Gary Rae, director of communications and campaigns for Brake, said: "Drink-driving, despite being more socially unacceptable, is still a major issue on our roads, especially as our current, legal drink-drive limit in England and Wales is the highest in Europe. "This sends a confusing message and asks drivers to guess if they are under the limit." As a result, Brake is lobbying the government to implement a far stricter limit on alcohol consumption and to bring England and Wales in line with the lower limits that were introduced in Scotland in December 2014. Natalie Brinkley, brand manager at Fuel Card Services, adds: "Drinking and driving can ruin lives. The only safe way to get behind the wheel is therefore to forego drinking altogether, as otherwise it's simply a case of Russian roulette if you might be over the limit."